Sampling Centers (SC) have proven their value in heavy and mining equipment around the world by extending vehicle service life, by increasing uptime and by freeing your technicians for critical maintenance functions. 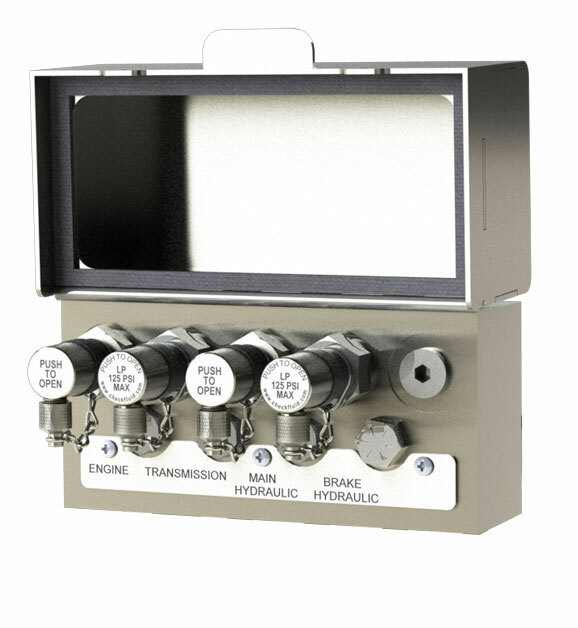 The SC from Checkfluid relocates all your system's sampling valves into one easy to access location. Simply open the lid of the SC and extract a sample from multiple systems in minutes. 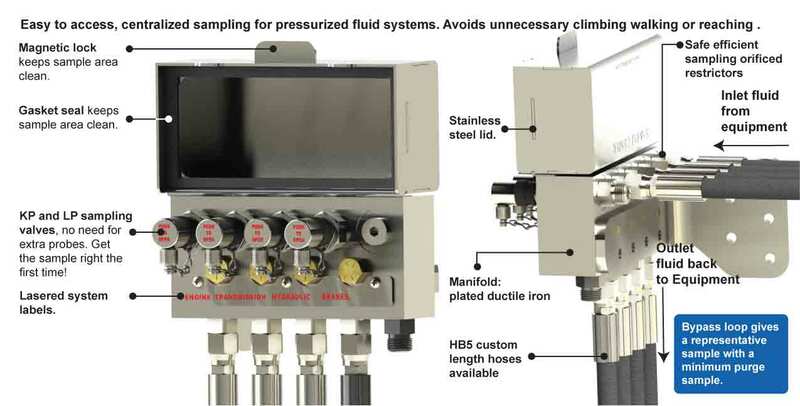 The sample center allows you to draw highly representative samples of active fluid through the use of a bypass loop. This loop stays active even when no sample is being taken, this greatly reduces purge volumes. SC have been in service on Caterpillar and Komatsu mining equipment and other critical equipment for over 5 years. The SC can be installed on rolling mills or other high-value stationary equipment that needs to be remotely accessed.